Is it a Koosh Ball? 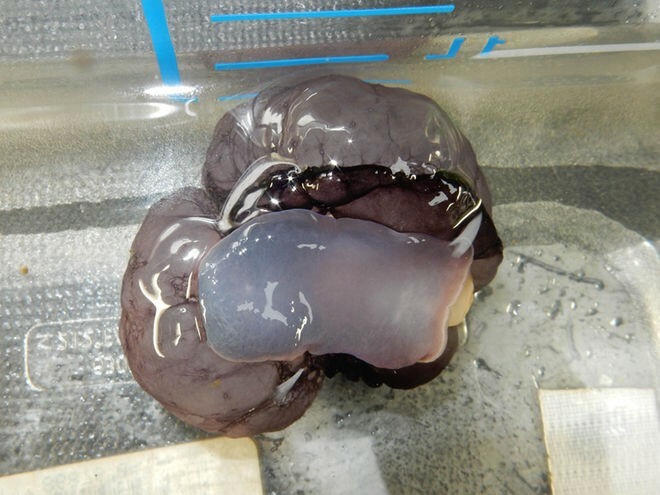 The scientists aboard the E/V Nautilus have been on the cutting edge of seafloor exploration since they started their oceanic expedition back in 2010. 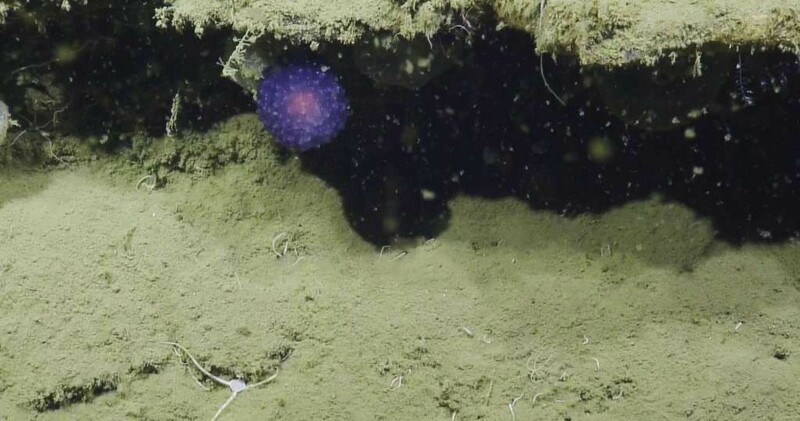 They’ve had surprise encounters with sperm whales, and delved into the hydrothermal vents of the Galapagos, but even these sea-life experts were completely baffled by a small purple orb discovered near the Channel Islands, just off the coast of California. After much speculation, and shooing away a hungry looking crab from their find, the team “slurped” up the orb with their underwater ROV (remotely operated vehicle). Up close it kind of looks like something you’d get surgically removed after a biopsy. In the meantime, one thing’s for certain: Despite how long humans have been exploring our planet’s oceans, there is still much, much more left to discover.